BLOOMINGTON, Ind. -- A new study by researchers at Indiana University and several other institutions shows that streams in the Midwest contain materials from corn that has been genetically engineered to be toxic to insect pests -- as long as six months after the corn was harvested. 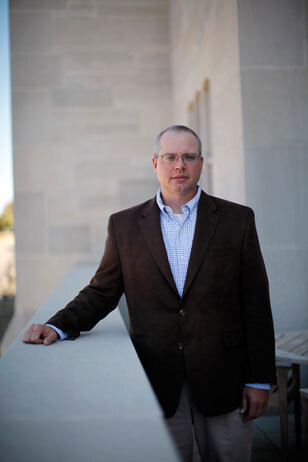 The study by Todd V. Royer, associate professor in the IU School of Public and Environmental Affairs, and colleagues at the University of Notre Dame and other institutions was published this week in Proceedings of the National Academy of Sciences. "After harvest, residual parts of corn plants are being moved by wind and water from the fields into nearby stream channels," Royer said. "We were able to detect an insecticidal protein produced by genetically engineered corn, both in residue from the plants and dissolved in the stream water. This demonstrates a mechanism by which non-target organisms can be exposed to the insecticidal protein." The study suggests a need for better understanding of whether agricultural practices may produce unexpected effects on the environment. And by applying geographic information system (GIS) analyses to land-cover data from the U.S. Department of Agriculture, the authors show that the production of transgenic corn (maize) could have a wide-ranging impact on Midwestern waterways. "Our GIS analyses found that 91 percent of the more than 200,000 kilometers of streams and rivers in Indiana, Iowa and Illinois are located within 500 meters of a corn field," said Notre Dame ecologist Jennifer Tank, the lead author of the study, "suggesting that corn crop byproducts and any associated insecticidal proteins may enter streams across the corn belt states." The study focuses on corn that is genetically engineered to express insect-resistant proteins derived from the bacterium Bacillus thuringiensis. Such "Bt corn," designed to deter the European corn borer and other pests, accounted for 63 percent of the U.S. corn crop planted in 2009, according to the USDA. In the spring of 2007, about six months after the previous year's harvest, the researchers surveyed 217 stream sites in an agricultural region of northwestern Indiana, collecting samples of water and of corn plant detritus. The water and detritus were analyzed for the presence of Cry1Ab, an insecticidal protein produced by Bt corn. 86 percent of the sites contained corn leaves, cobs, husks or stalks in the active stream channel. Cry1Ab was detected in corn parts at 13 percent of the stream sites. Cry1Ab was detected in the water column at 23 percent of the sites. 82 percent of the stream sites were adjacent to fields that had been planted in corn. Of the streams where Cry1Ab was found in corn detritus, 100 percent were within 500 meters of fields that were planted in corn the previous year. Royer said the study does not address whether the low levels of insecticidal proteins found in the streams have an adverse effect on insects or other organisms that are not targeted by Bt corn. A 2007 study by several of the same authors, also published in Proceedings of the National Academy of Sciences, found that genetically engineered corn was transported from fields to streams but did not sample for insecticidal proteins. That study also reported decreased growth and increased mortality in caddisflies that were fed Bt corn products in a laboratory setting. In addition to Tank and Royer, authors of the recent article include Emma J. Rosi-Marshall of the Cary Institute of Ecosystem Studies, Matt R. Whiles of Southern Illinois University, Natalie A. Griffiths and Therese C. Frauendorf of Notre Dame, and David J. Treering of Loyola University. An abstract of the article and a link to the full text are at http://www.pnas.org/content/early/2010/09/22/1006925107.abstract. To speak with Todd Royer, contact Steve Hinnefeld at the IU Office of University Communications, 812-856-3488 or slhinnef@indiana.edu.